How Long Before Expiration Should I Renew My Passport? US passports are valid for 10 years from the date they are issued. It seems logical to assume that you should renew your passport two or three months before it expires. In fact, you may need to start the renewal process as early as eight months before your passport's expiration date, depending on your destination. If you are considering a vacation abroad, you should be aware that many countries will not allow you to cross their borders or board your airplane to fly there unless your passport is valid for at least six months beyond your initial date of entry. Still more, including the 26 European nations that participate in the Schengen accord, require your passport to be valid for at least three months past your date of entry, which means that you must add that three-month requirement to the time you plan to travel abroad. A few countries have a one-month validity requirement, while others have no validity requirement at all. If your passport is set to expire within the necessary validity period for your destination you'll need to renew it before you travel. 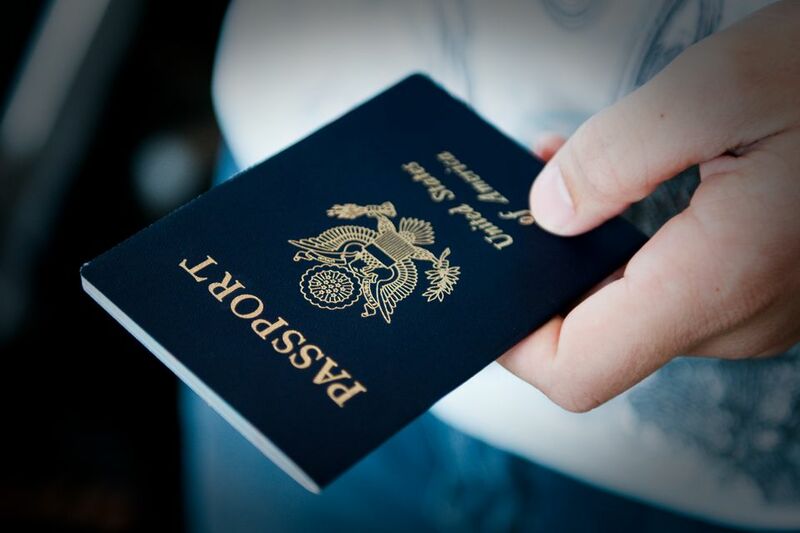 According to the US Department of State, it takes four to six weeks to process an application for a new passport or passport renewal, or half that time if you pay for expedited processing and overnight delivery of your application and new passport. Processing times vary by time of year. In general, it takes longer to get a passport in the spring and summer. You can find current passport processing time estimates on the State Department's website. In addition, you will need to allow extra time before your departure date to obtain any necessary travel visas. To apply for a travel visa, you will need to send your passport with your visa application and wait for your visa to be processed. If you are planning to travel abroad, check to see if your destination country has specific requirements for passport validity by checking the lists below. You can also look at your State Department or Foreign Office's website for up-to-date entry requirements for each country you plan to visit. *It is airlines, not the government of Israel, that enforce the six-month validity rule, according to the US Department of State. Travelers should be aware that they may not be allowed to board their flight to Israel if their passports will expire less than six months from their date of entry into Israel. **Visitors to Nicaragua should be sure their passport will be valid for the entire length of their planned stay plus a few days for emergency-related delays. ***Visitors to the Schengen area in Europe should be sure their passports are valid for at least six months beyond their date of entry, according to the US Department of State, because some Schengen countries assume that all visitors will stay in the Schengen area for three months and will deny entry to travelers whose passports are not valid for six months beyond their entry date. This may apply to you even if you are merely transiting through a Schengen country. Source: US Department of State, Bureau of Consular Affairs. Country Specific Information. Accessed December 21, 2016.